You can now configure the maximum number of attempts for host/service metric monitors etc. Thanks to all of you, the Mackerel Advent Calendar that we talked about last week has been completely filled! Also, be sure to check out the advent calendar that Mackerel team CRE id:Soudai is working so hard on, not missing a single day and continuing to release blogs full of information and useful knowledge. I hope you enjoy these advent calendars leading up to Christmas. Now onto this week’s update information. "GraphBoard" is an interactive feature that lets the user freely arrange arbitrary role and service metrics graphs. With this week's update, we’ve increased the number of types of graphs that can be added to this GraphBoard. 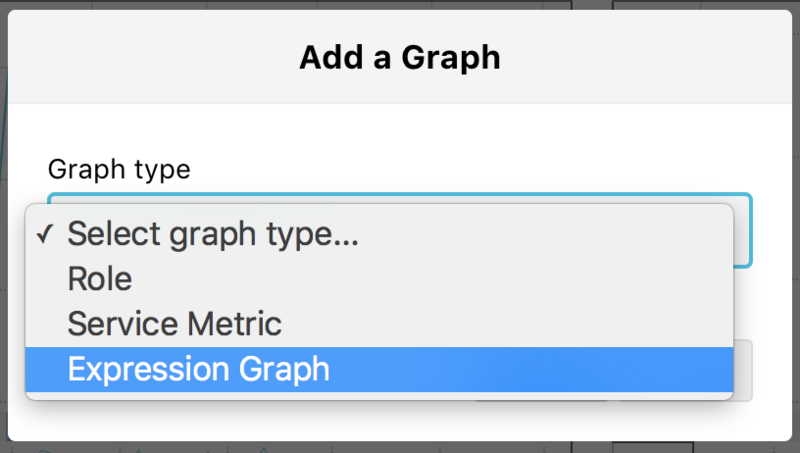 Customized graphs (expression graphs) can now be added! Customized graphs are extremely useful and allow you to implement the above procedures by describing the function expression. We believe that putting this to use will be even easier than before. Displaying customized graphs is an experimental feature. For more details, check out the following help pages. 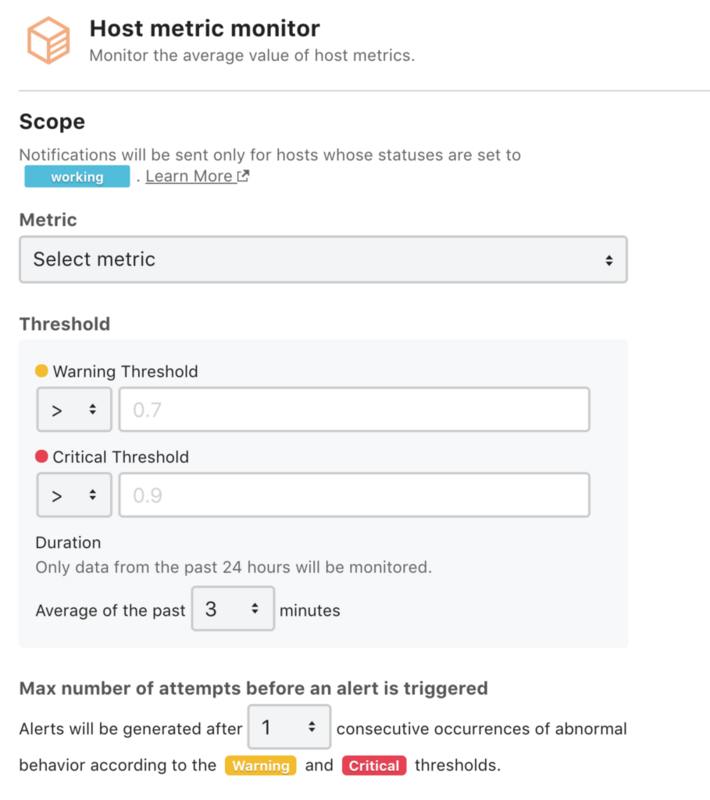 As you can see in the image above, the "Max number of attempts before an alert is triggered" can be configured with host metric and service metric monitors. Up until now, only the monitoring of “Duration” (average of the past n minutes) was supported. For example, if you wanted to have an alert occur when a threshold of 5 is consecutively exceeded, you would configure the following. However, with this configuration, not only would a progression of 7 → 5 → 6 (a 3min average of 6) lead to an alert occurrence, but also for a progression such as 1 → 16 → 1 (in this case, also a 3min average of 6). For this reason, sometimes unintentional alerts would occur. With this update, you can eliminate cases such as the one above by utilizing the newly added "max_check_attempts". We hope that you can use this feature together with "Duration” monitoring to eliminate unintentional alerts. Please review your server monitoring settings and contact us if you have any concerns before the end of the year holidays begin!